After upgrading the iPhone 6 Plus, the SIM card can't be identified, we tried to re-install the SIM and restart the iPhone, but the iPhone 6P still can't identify the SIM card. If the SIM card can't be identified, then we can't use this iPhone normally, so we have to solve this problem. Before we are going to fix this problem, we need to know why this failure has occurred. This iPhone 6 Plus with small memory storage, only 16GB, so we want to upgrade the memory storage for it. Disassemble the iPhone 6 Plus, remove the iPhone Nand flash, and then use NAVIPLUS PRO3000S Nand programmer to write the underlying data to the new iPhone Nand flash, and then install it to the iPhone motherboard, finally we assemble the iPhone 6 Plus. Seems everything goes well, however, when we insert the SIM card, and power on iPhone to test, we found that the iPhone 6 Plus can't identify the SIM card. We tried to restart the iPhone and re-install the SIM card, the SIM card still can't identified. The SIM card can be identified before upgrading, so we suspected that it's the problem of the SIM card circuit or iPhone Nand flash. 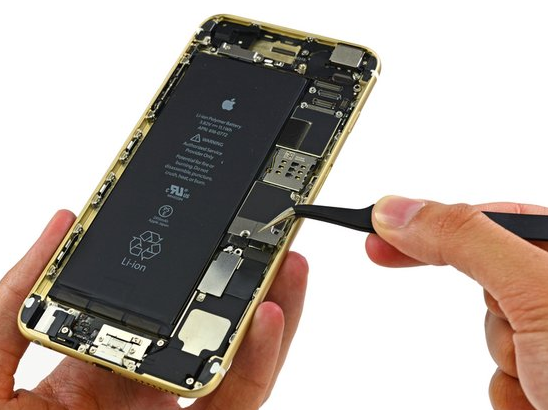 Use phone opening tools to disassemble the iPhone 6 Plus, remove the iPhone display assembly, disconnect the iPhone battery, and then remove the iPhone motherboard. As we know, the iPhone 6P can display no SIM card after powering, which means the iPhone basedband is working. First we need to use digital multimeter to measure the 1.8V power supply for SIM card, the data measured is normal. 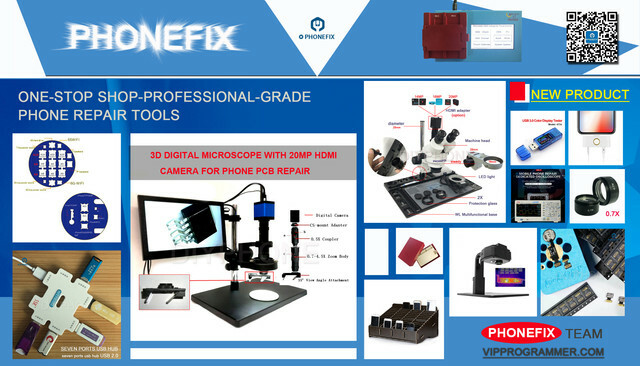 Next, put iPhone motherboard under the Stereo Zoom Microscope; carefully observe the components around the iPhone Nand flash to check whether they have missing parts, offsets, etc. After observation, they were all in a normal state. Now use digital multimer to measure the diode data for the SIM card data cable (BB_SIM_DETECT), the data tested only 26, it's lower than the normal value, because the normal value is about 260. Open the ZXW Dongle to check iPhone 6 Plus schematic diagram, we know that this data cable BB_SIM_DETECT is connected to a protection tube DZ312_RF. 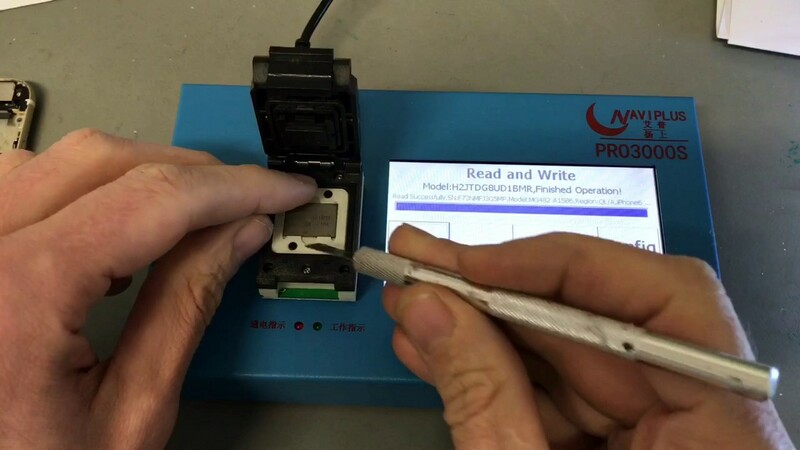 Use QUICK 861DW hot air rework station and tweezers to remove it, and then measure it again with digital multimeter, now the resistance value tested is normal. Finally, install the iPhone 6 Plus, insert the SIM card, and then power on iPhone 6P, after entering the IOS system, we found that the SIM card has been identified properly, the problem has been solved.